I wasn't paid and the person who hired me is fine with me releasing them. LZMA-capable extractor is needed (ie 7zip) to extract the files. It comes with a patcher, loadings. loginscreen, background image, logo and there's also a forum skin for IPB 3.0. 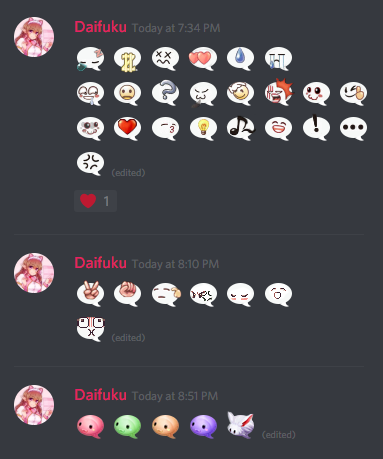 I used these emotes for my previous ragnarok server. Wanted to share this Patcher PSD design for free. Have more in HDDS and a lot of ideas in mind! For more Design and Customs Thor Patcher, you can feel free to send me a message. Just want to share my PNG files i've got from ROVU (Ragnarok Valkyrie Uprising), the image are in .PNG format, tho they are indexed color when you open in photoshop so you need to manually change it to RGB. The .zip file contains around 20 elements from RoVU, Chibi Classes and NPC. Stay in touch for more renders. Another tutorial~ Open the .html file to view the tutorial, Tools folder has all that you will need (besides photoshop) for learning how to sprite and do spriting. Also goes through the basics of creating a .act and how to create the collection image, drop sprite, and inventory image. This probably isn't the best guide out there, but I'm hoping it will help some. It goes through how I made the loading screen in the preview, as well as just a small guide on how to implement these things. It's pretty basic and easy but may help those who are new to photoshop learn how some things work. It covers basic text editing, photo adjustments, and how to apply brushes. The two pdf's in it are for you to learn from and use, you can do anything with them since I don't plan to use them. Same with any and all images in it as well. Open the .html file to view the tutorial, no internet required to view it. This originally was uploaded on rAthena. 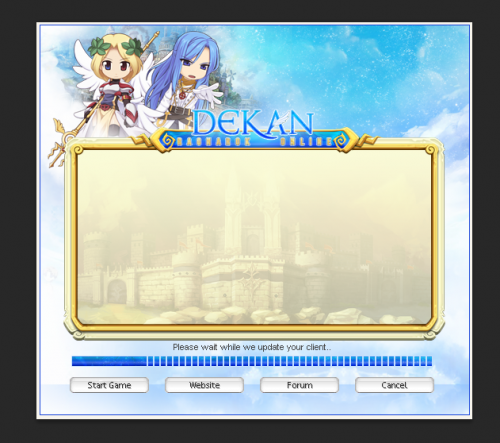 It contains 3 loading screens, PSD included. Originally was uploaded on rAthena but I've updated it to the latest Thor Patcher. I tried to copy Gravity's style of skinning their patchers. This .rar file doesn't just contain images or a PSD, it's configured already, all you have to do is change some URLs and probably make the notice page more pretty. Yeah, MORE PRETTY. Edit: I'm so sorry about the multiple versions of backImage and frontImage. I forgot to remove them. I'm using the bmp version so if you don't mind deleting those unwanted stuffy, thank you. You can use it on your server and so hopefully you will like it /no1. Hello Everyone. 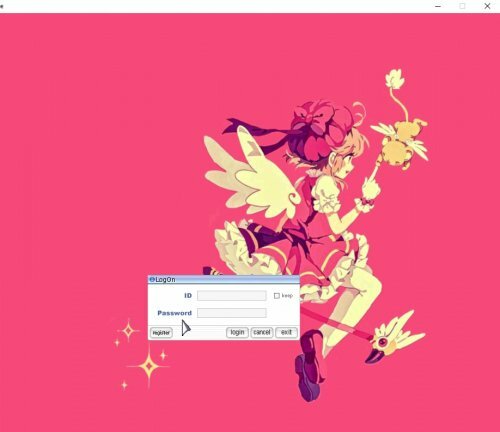 I am sharing some login screens and loading screen. 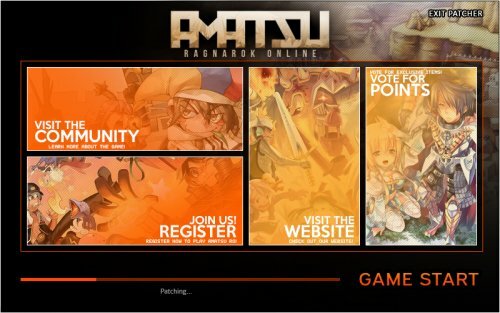 These are given to RagnaHosting customers by default, on their generated clients. Feel free to use these on your server. Visit our website, like us on Facebook and follow us on Twitter for more free stuff.